Turf is the central feature of golf courses, sports fields, parks, cemeteries, and landscapes in cities and neighborhoods throughout the United States. More than 200 golf course superintendents in Oregon and 1,500 in Washington, California, and Idaho manage turf as the focal point of their facilities. Professional lawn care is a thriving industry in Oregon communities that is complemented by a vibrant grass seed and turf industry, all of which adds millions to local economies. 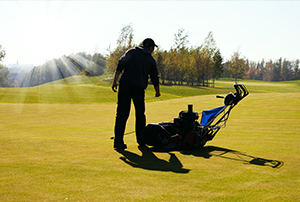 Students in turf management become golf course superintendents or professional grounds and park managers with commensurate responsibilities and salaries. Students learn to integrate knowledge of biology, soils, turf growth and development, irrigation design, sports field construction, pest management, budgeting, and problem solving. Students participate in state, regional, and national professional groups and network through class and Turf Club activities. Extension programs in turf management are directed primarily at type professionals and Master Gardeners ™. Numerous programs are conducted annually for the Oregon Golf Course Superintendents Association, Northwest Turfgrass Association, Oregon Landscape Contractors Association, and Pacific Northwest Sports Turf Managers Association. 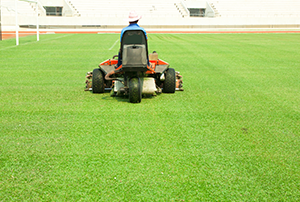 Printed and web-based resources describe topics ranging from grass selection to lawn establishment to sports field maintenance. Practical field research evaluates turf cultivars, fertility, pest management, and the influence of cultural practices on long-term turf performance. The seven-acre turf research facility serves a wide range of interests including the seed industry, golf course associations, the landscape industry, sports turf managers, Master Gardeners ™, and the general public, and is funded entirely by gifts. All student field lab exercises are conducted at this facility. More than 300 graduates of the turf program currently are employed as superintendents and managers of golf courses, parks, and lawn care companies. This represents an 85% retention rate over a period of nearly 30 years. OSU-educated superintendents are national leaders in environmental stewardship at golf courses with programs ranging from providing habitat for western bluebirds to developing spawning and rearing habitat for salmon. Oregonians, Master Gardeners TM, and landscape professionals benefit from this stewardship role and regionally specific information on turf care. Golfers in particular benefit from extraordinary quality playing surfaces that rival the best golf courses in the world.